SAN BENRARDINO -- A 27-year-old motorcyclist has been identified after he was decapitated in a bizarre accident at an intersection in San Bernardino, authorities said. Fabian Zepeda was riding his motorcycle southbound on Macy Street about 9:10 a.m. Tuesday, when he drove into a tension wire stretched across the road, according to a statement from the San Bernardino County Coroner. The collision was preceded minutes earlier by another crash, in which a Ford Taurus slammed into a wooden telephone pole. The pole snapped in half, with the loose wire spanning the street, the news release said. Zepeda drove into the wire and was beheaded. The cause of the initial collision, involving the sedan, was unknown. That driver did not appear intoxicated and was not immediately arrested. 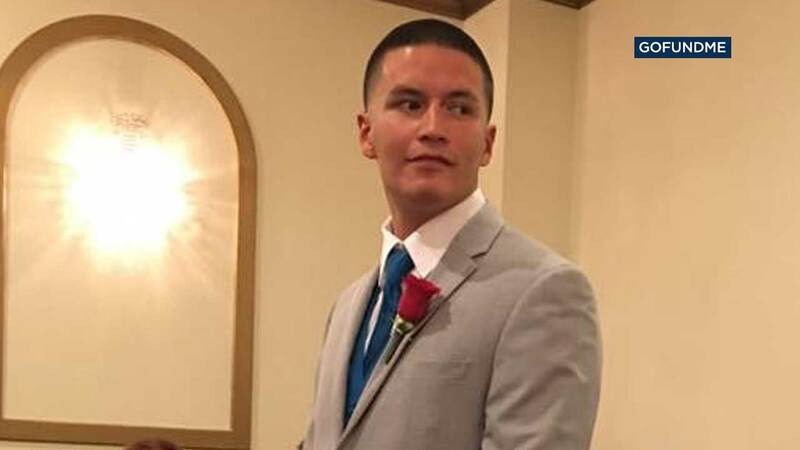 On a GoFundMe page created in Zepeda's honor, his wife described him as "a loving son, husband, brother, and friend." "He was the most caring, loving, family orientated unique individual who always managed to care for others before himself," Vanessa Quintana wrote. "I am now 4 months pregnant with our baby girl," she continued. "I am very happy to keep a little blessing from my husband."